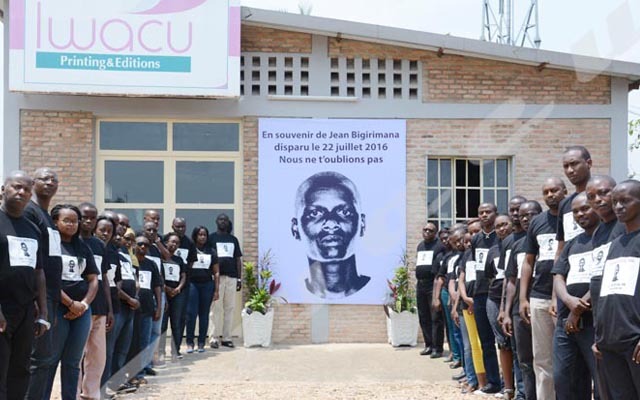 Insufficient competitions, lack of sufficient funds and will to develop this sector are among other problems that Burundi women’s football associations face in the country. Dominique Ndikuryayo: “The national football federation-FFB hardly encourages clubs to prepare the championship”. Dominique Ndikuryayo, president of Fofila women’s football club, says there is still a long way to go to develop women’s football in Burundi. “Mentalities have evolved because many young girls want to play football though there are many constraints”. Mr. Ndikuryayo says the national football federation-FFB hardly encourages clubs to prepare the championship. “The women’s teams got support from FFB to prepare a championship only once in 2017. A sum of 3 million was given to each team,” he says adding that the women’s football commission does not have enough budget to monitor and supervise the teams in the countryside. He says there are very few football competitions organized for women. “FFB organizes very few competitions and the fact that the champion teams do not participate in international and regional competitions hinders the good development of women’s football,” he says. Mr. Ndikuryayo says the national championship of women’s football is not broadcast in the same way as men’s. “Women’s football only interests a small audience because it is not advertised enough”. He also says the women’s football commission is not represented enough at the national federation. “Commissions aren’t enough and never meet to study some of the problems that hamper the women’s football development. This means that meetings with club presidents do not exist”. Kabura Eugénie, president of the Women’s Football Commission, says women’s football is still underdeveloped because women are not self-confident. “It is true that there are many problems that hamper the development of women’s football but players also lack self-confidence”.